Christmas sweater fever hit Wace Morgan this year, with the fashion for festive knitwear taking over at the offices in aid of charity. 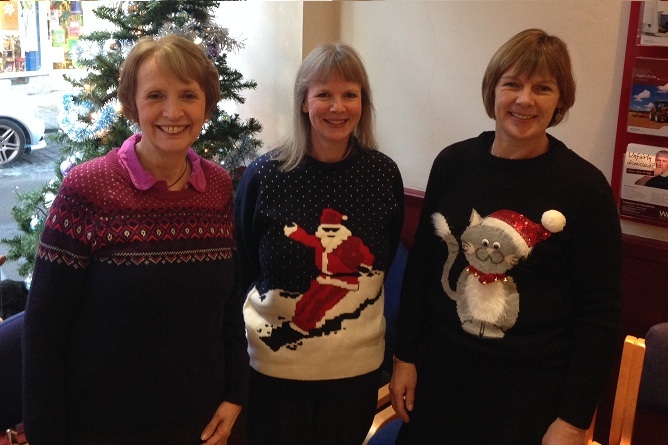 Staff donated £1 to Save the Children as part of their national Christmas Jumper Day on Friday 13th December. Pictured looking colourful are, from left, Diana Packwood, Karen Ashton and Carolyn Freeman. It is not too late if you wish to contribute to the fundraising, simply text TEAMWACEMORG to 70050 to donate £1 directly to Save the Children.